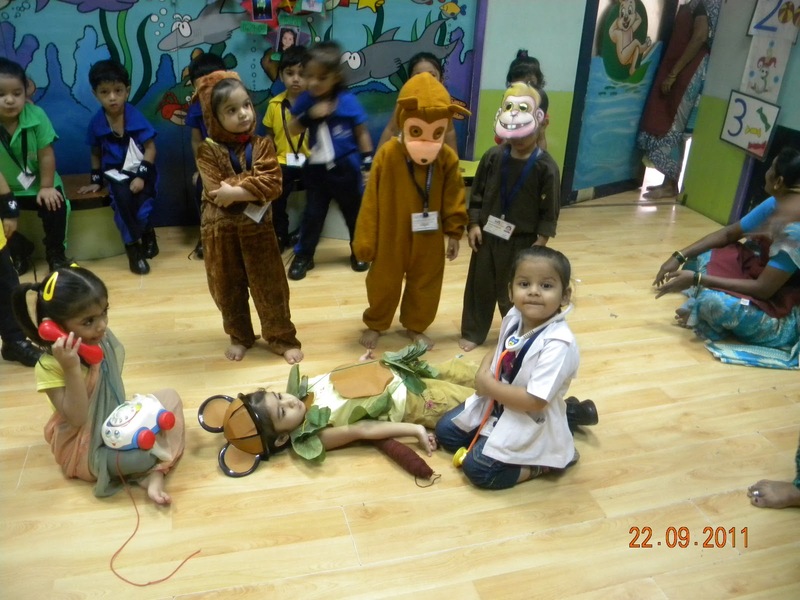 Poem enactments are a great way for children to express themselves. 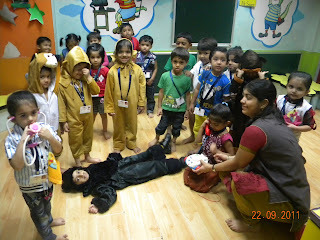 The children were ready for some monkey business on 22nd September 2011, as we had a poem enactment on “Five little Monkeys”. They looked adorable in their “monkey”, “mummy” and “doctor” attires. This is a song that one can use anytime for the children to get up and jump. Not only that, but it is also a fun way to learn numbers unto 5; and the children had a great deal of fun learning this rhyme in an interactive way.